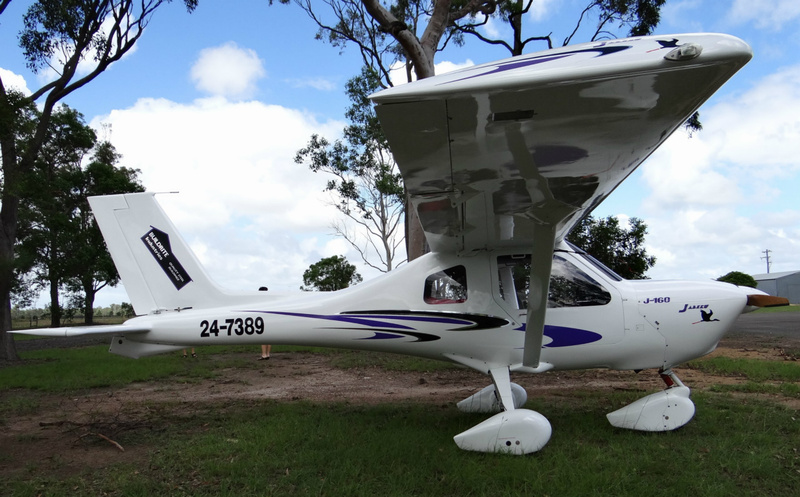 While travelling by road from Central Queensland to the Fraser Coast in January 2015, we took an opportunity to briefly visit Childers Aerodrome, and was delighted to sight a small number of Jabiru recreational aeroplanes. Among the resident aircraft was a particular Jabiru which took my interest, J-230D 24-8503 as this airframe participated in the '100 years on' re-enactment of the first ever Australian aerial mail run. Conducted in 1914 by French pilot Maurice Guillaux’s, the historic air mail flight followed a route from Melbourne to Sydney and reportedly took three days to complete. Of interest, Childers Aerodrome services the recreational aviation community of Childers and surrounding area and is situated on Aerodrome Rd just off the Bruce Highway, 7km south of the township. Aligned 10 / 28, a single 1000m grass strip provides ample take-off and landing real estate for light aircraft, while a total of 12 hangars (and a clubhouse) provide shelter and security for the pride-n-joy of local operators. Additionally, it is reported that space has been reserved for the construction of additional hangars if required.